How do Nutcrackers and Pom-Poms go together, you ask? Well it all started with this innocent tree. I became obsessed with the idea of a tablecloth that matched this tree. Weird… but true. Well, here is the results…. 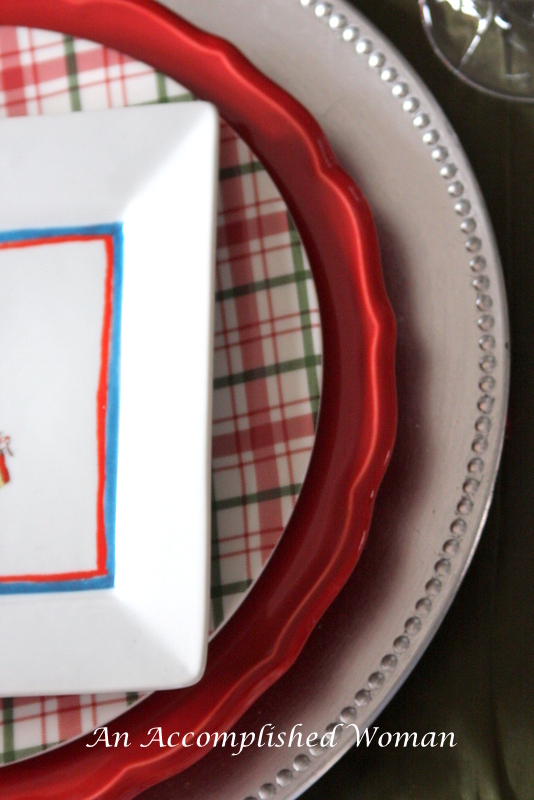 So fun and talk about texture. And red ornaments to replicate the pom-poms. Nutcracker place cards… a 75% find at Target last year. 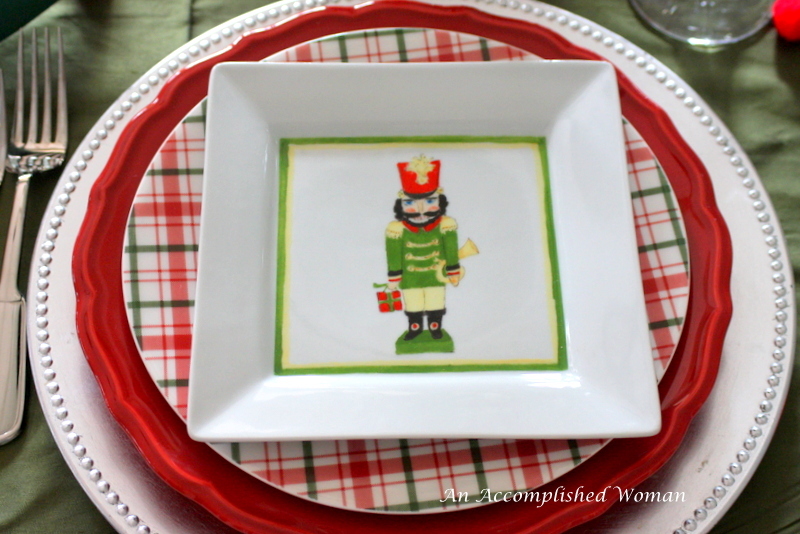 Nutcracker accent plates, another inexpensive find, on top of the red and green plaid salad plates. 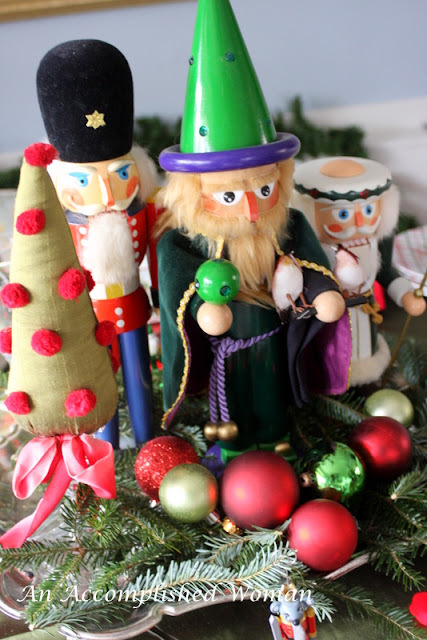 Each plate has a different nutcracker. I love the different shapes together... so much interest. Not that I needed it with the tablecloth. 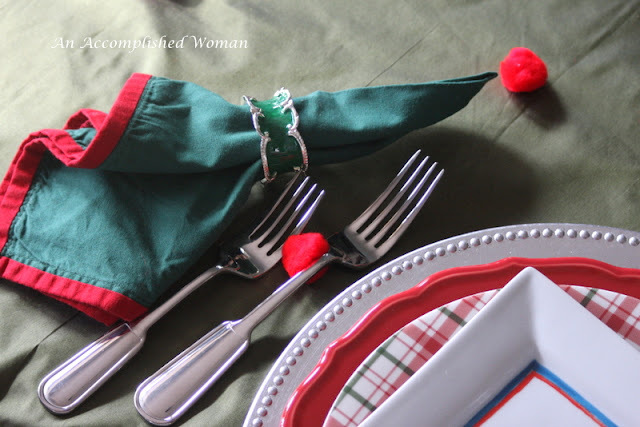 Lovely napkin ring with a similar shade of green napkins. Cake plates ready for Nutcracker cupcakes. 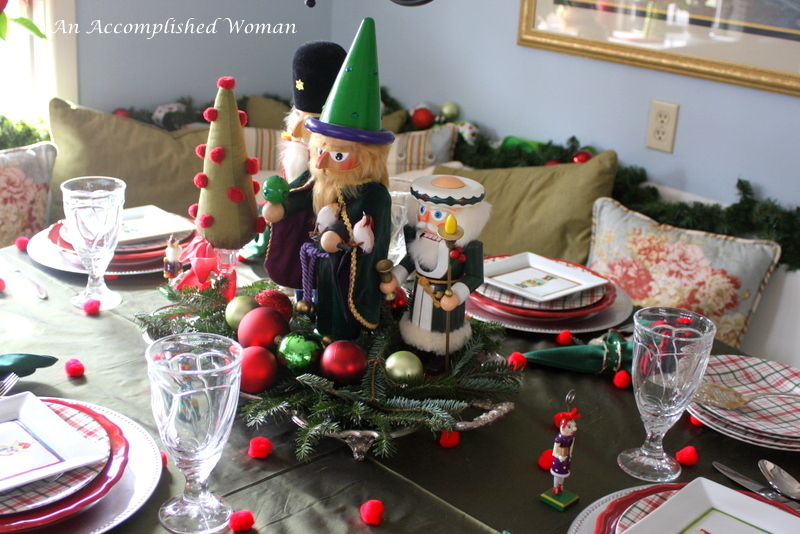 A fun table before our trip to the Nutcracker Ballet this weekend. Hi Cynthia! 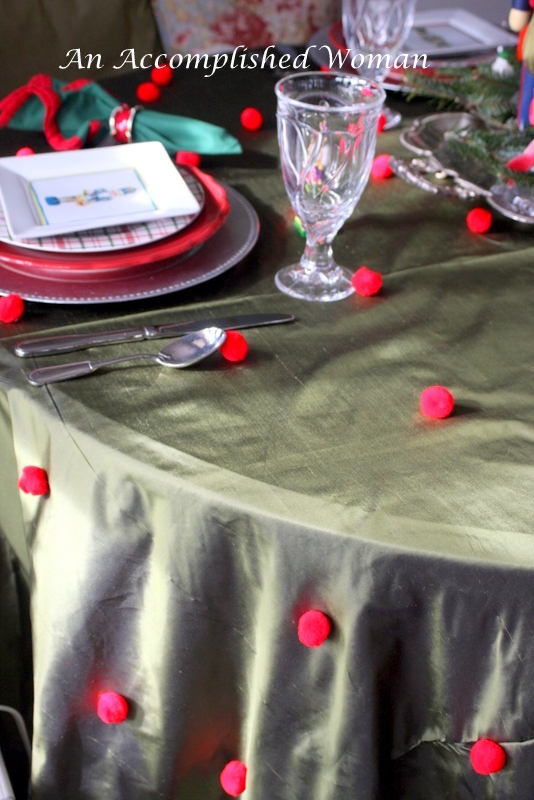 Your table cloth is a show-stopper! I absolutely love it. 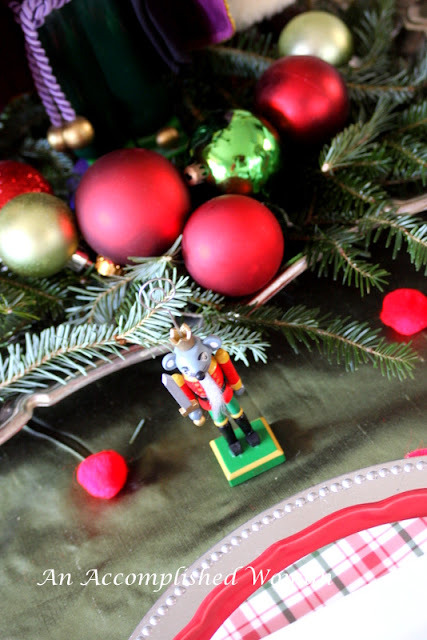 The nut cracker theme is adorable. Reminds me to head out after Christmas this year to get things on sale. LOVE IT! Wish I had spotted those place card holders last year! 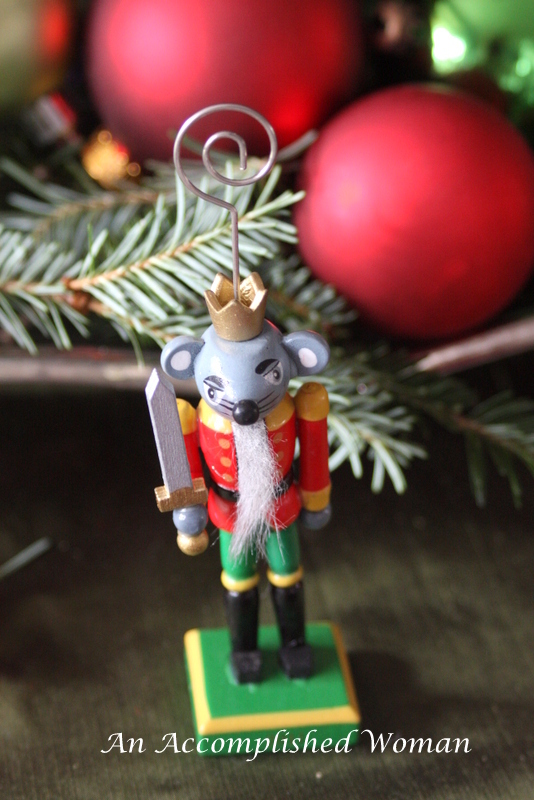 Next year Elise will dance in the ballet for the first time, so we are collecting Nutcracker and ballet ornaments. We did make a wreath from an old tutu and put a big Clara doll in the center, but that's as far as we've gotten this year! 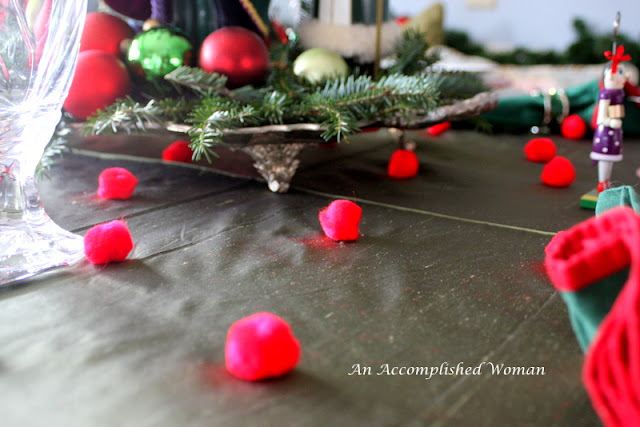 That pom pom table cloth put a smile on my face!! 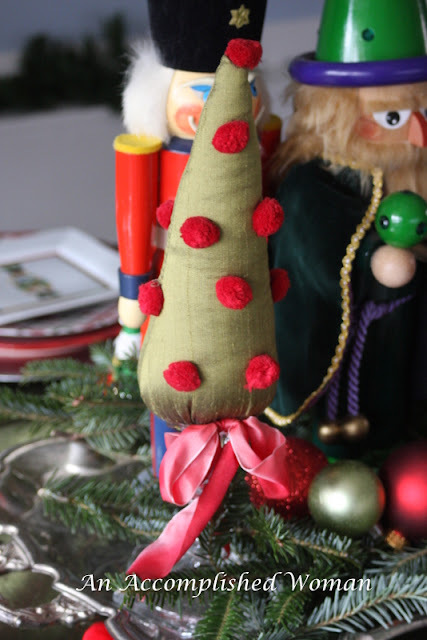 This blog is absolutely gorgeous! So glad I found you!! 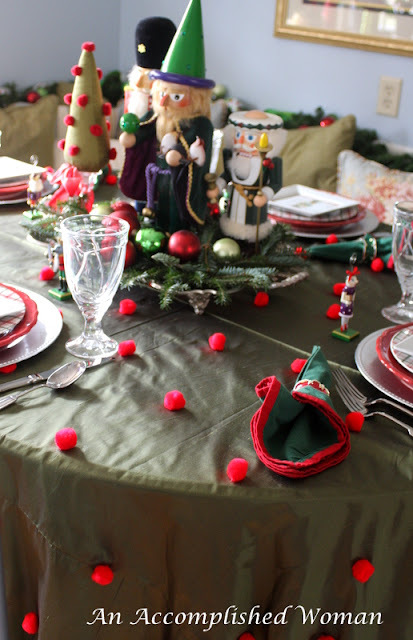 Such a darling tablescape! I wish I would've done that the other day when I took my granddaughter to the Nutcracker! I love your tablecloth with the Pom poms....so cute! 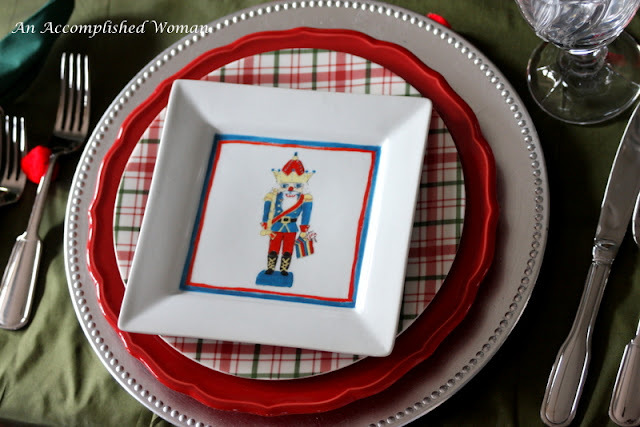 Those nutcracker plates are to die for! Cute table...love the tartan plates. GREAT idea. I have to have a pom-pom tablecloth. At first I thought, "This is so cute for a child's party." Then I thought, "Shoot! I'd like to sit there. Anyone would enjoy this table." Adorable! 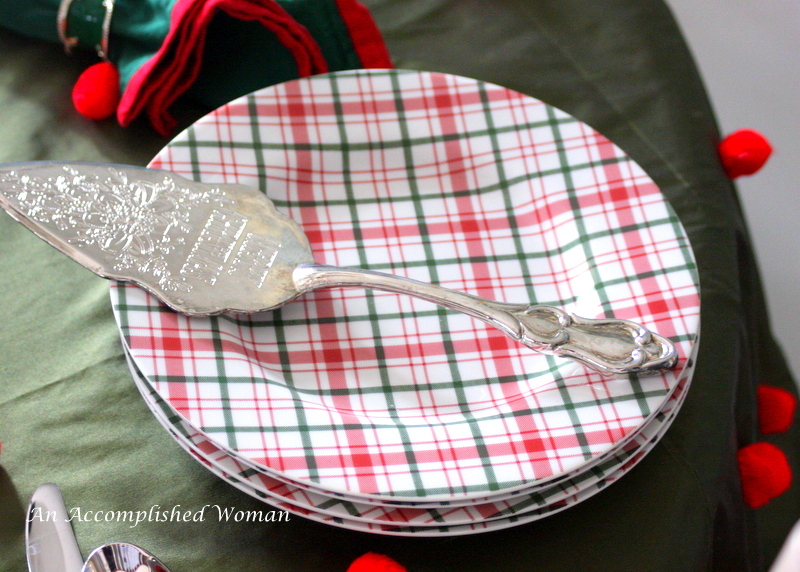 Love the plaid plates!